The all new GUMBY comic books and upcoming graphic novels are the results of a recently announced partnership between Papercutz and Premavision Inc which allows the esteemed children’s graphic novel publisher to create new material based on the hit GUMBY shorts that have found a new generation of fans through YouTube and DVD releases. 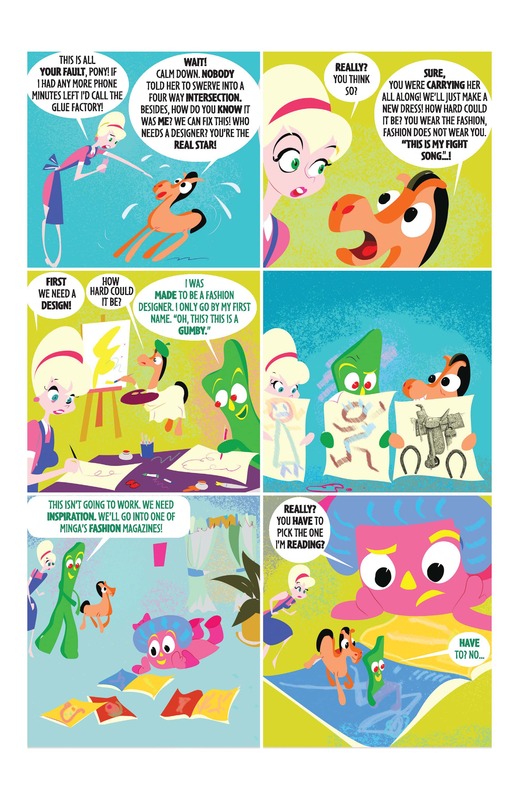 Premavision also recently announced the development of a new GUMBY television series (in partnership with the Jim Henson Company) and plans for a feature film are also in the works. 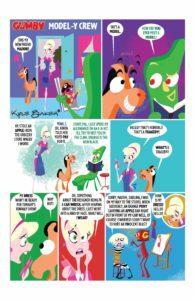 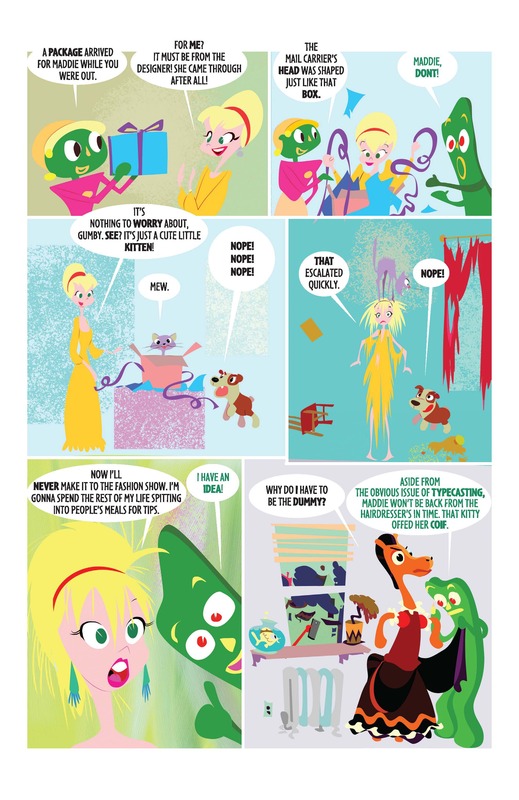 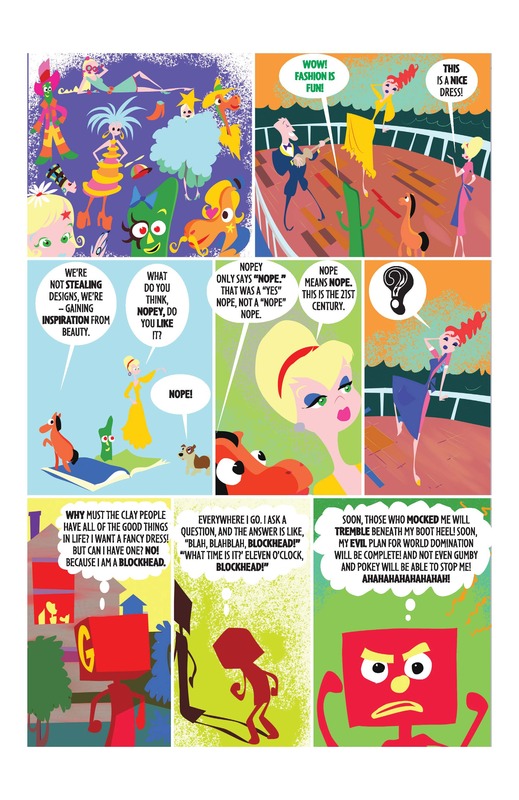 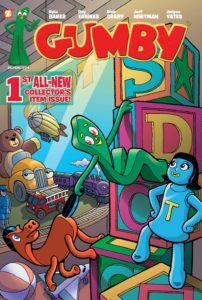 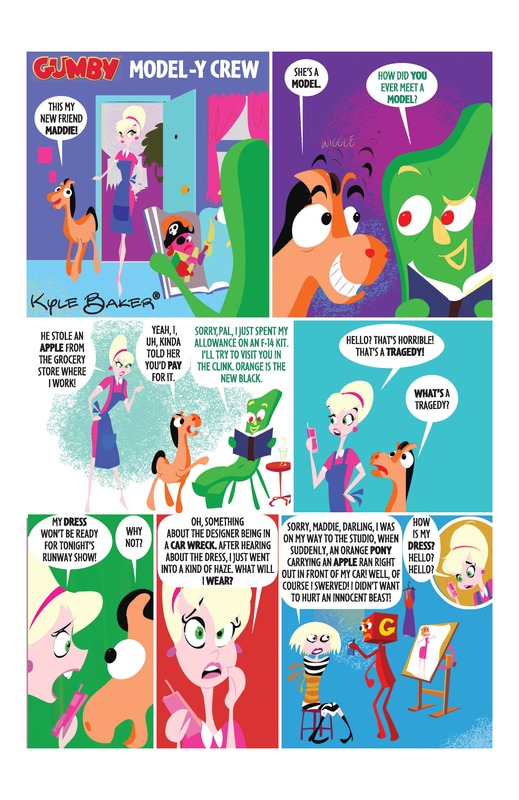 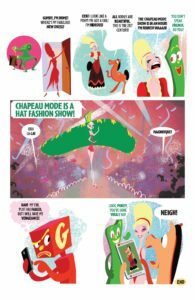 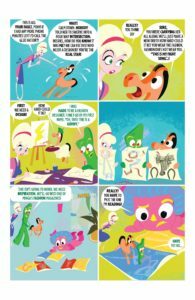 Papercutz will collect the first three issues of the GUMBY comic as a graphic novel, in both hardcover and trade paperback editions, on November 7, 2017.